The above info came from atomofish, and was edited by yours truly (contact me). The image came from Remy's Transformers. This sequel to Transformers: Armada takes place 10 years after Cybertron's struggle against Unicron. After Megatron mysteriously disappeared following Unicron's defeat, the Decepticons finally made peace with the Autobots. The people of Earth forged an alliance with those of Cybertron. Rad, Alexis, and Carlos have grown up and moved on with their lives. They each work in a different field, but share a common goal, which is to help the alliance that was formed when a new energy source called Energon was discovered. Autobot cities were built on Earth and Mars for the mining of the mysterious substance. However, the peace is soon shattered once Alpha Q, a mysterious multi-faced entity (called a Quintesson), sends Scorponok and his massive army of animal-transformers (Terrorcons) to gather the Energon needed to revive Unicron. Optimus and a new Autobot squad are charged with the task of protecting Earth from the Terrorcon onslaught. Assisting them is Kicker, a brash teenager who, at a young age, developed an ability to detect Energon. The Autobots posses a new power call "Power Link", enabling two Autobots able to combine into a more powerful warrior. Things get even worse when Megatron is resurrected in a new form and takes command over the Terrorcons, which shatters the Autobot-Decepticon truce. So now the Autobots have to deal with the Decepticons once more. Luckily, there is another group of Autobots led by Rodimus that wishes to help as well...at least, they do at first. Over time, Cyclonus, Demolisher, and Tidalwave were killed, only for Megatron to revive them as Snowcat, Demolisher, and Mirage. He also recruited StarScream (a clone of the original created by Alpha Q) and Shockblast (a sadistic criminal). The Autobots also get the spaceship Miranda-II and new members in Misha (a friend of Kicker's), Elita (a Omnicon created by Primus), and WingSaber (originally prison guard WingDagger, but was rebuilt by Primus). It turns out that Alpha Q and Scorponok came from a world that was destroyed by Unicron. But Unicron can create as well as destroy, and so Alpha Q wishes to use Unicron to recreate his world. However, Megatron prefers to use Unicron to rule the universe. 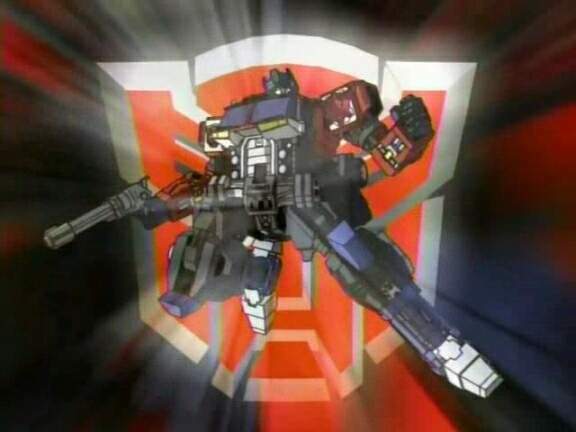 Thus, both Autobot groups and Alpha Q join forces to stop the Deceptions. Alpha Q succeeded in using Unicron's power to create a replica of his galaxy and the Autobots sworn to protect the planets from the Decepticons, intending use their Energon to resurrect Unicron. With Scorponok brain-washed into a full-fledged Deception, all Terrorcons serve under Megatron now. New Autobots (Bulkhead, Cliffjumper, Downshift, and OmegaSupreme) join the fight as Inferno is put out of commission (only to return as RoadBlock). The above description came from atomofish and fractyl2, and was edited by yours truly (contact me).